The Dark Side ingénue takes off the black garb in lieu of workman clothes to investigate Stormtroopers and base officers. Kylo Ren is a badass. He force-choked a laser beam in mid-air. He has a much-maligned red lightsaber with a crossguard that many deem unnecessary and excessive; we think it's pretty cool. When he's not trying to eradicate The Resistance, he serves as the sometimes-boyfriend of Lena Dunham in the HBO series, Girls. Most recently, Kylo participated in an episode of Undercover Boss, where bosses pretend to be a regular employee of their company to get a taste of how it's like to be a pawn. 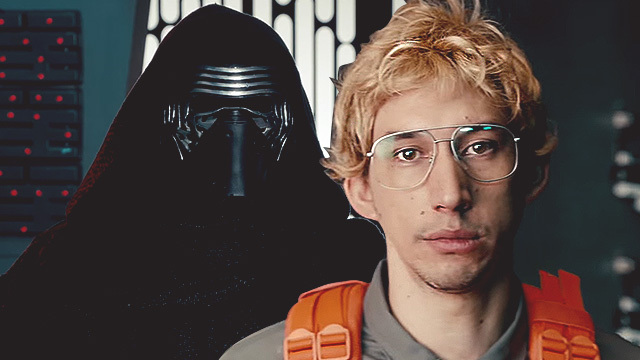 Out of his black garb and into a seafoam green workman's suit, he got a taste of how it's like to be "Matt," a "radar technician" at Starkiller Base. As Matt, he interacted with Stormtroopers and one ranked officer who eventually found out what being on the dark side of the force really means. By episode's end, "Matt" affirms that he's learned a lot from the experience.